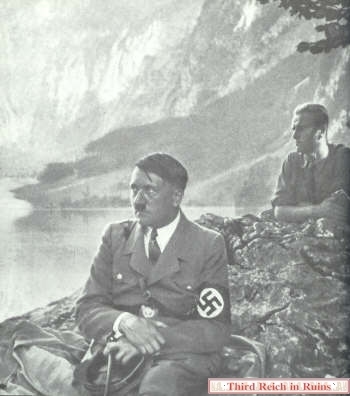 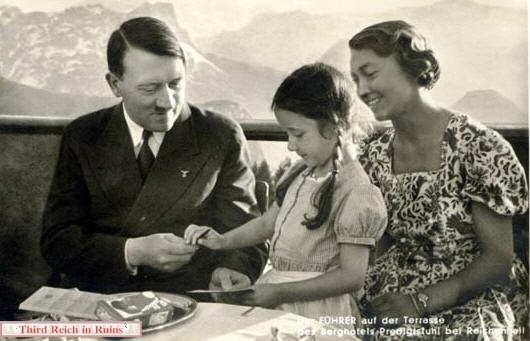 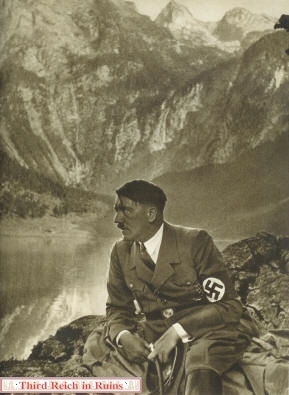 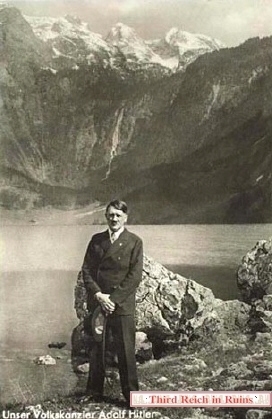 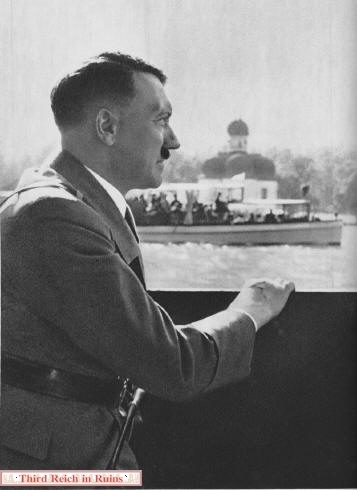 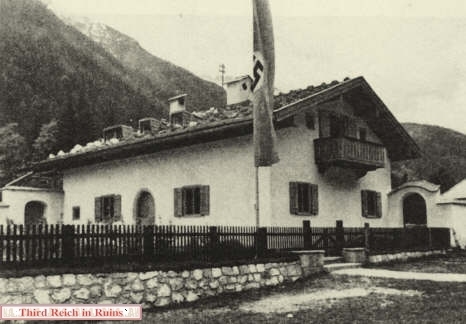 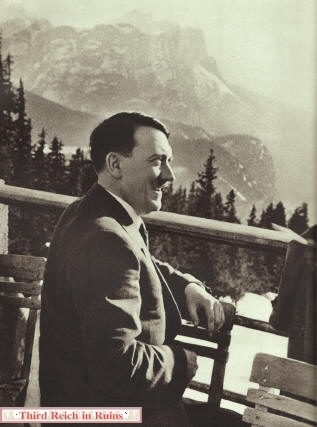 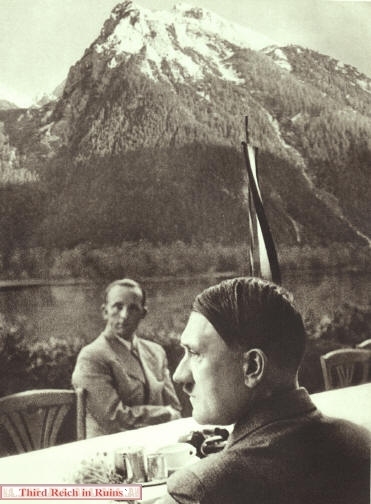 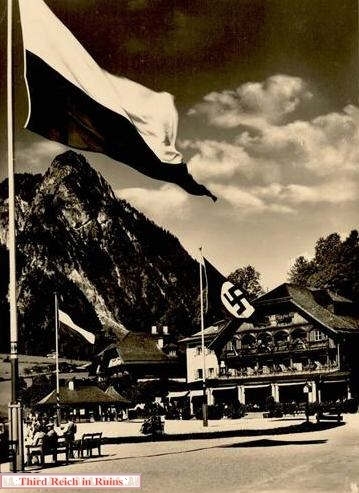 The quaint mountain village of Oberau, northeast of the Obersalzberg, was the location of two Third Reich facilities. 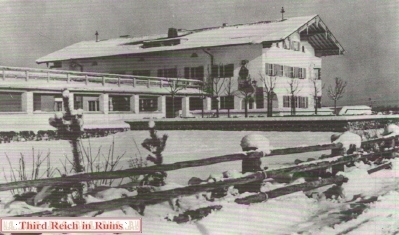 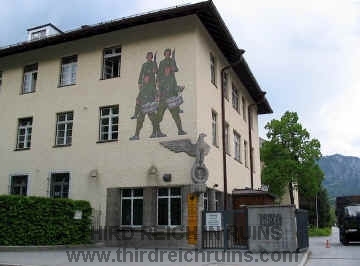 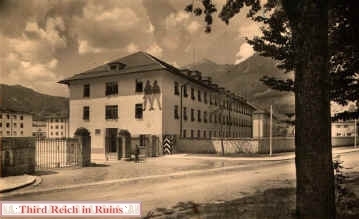 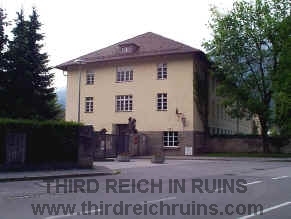 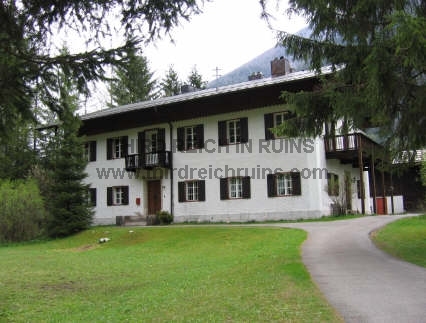 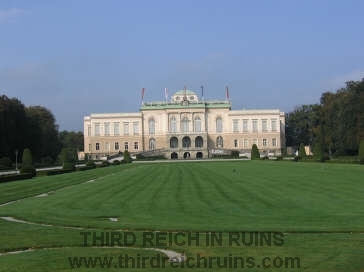 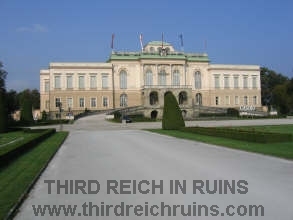 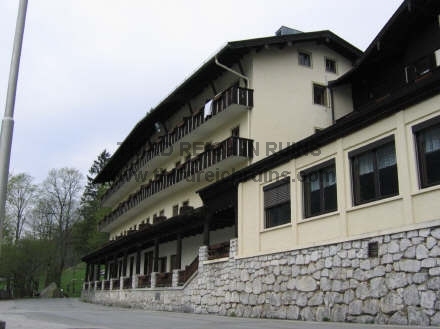 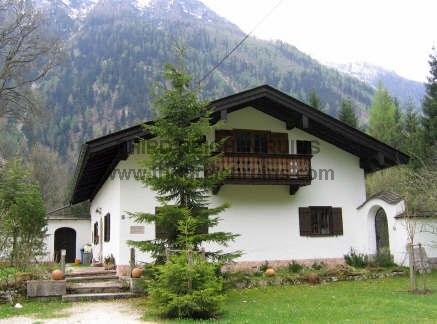 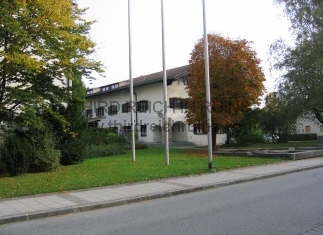 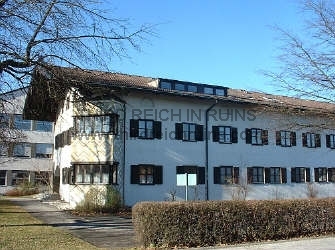 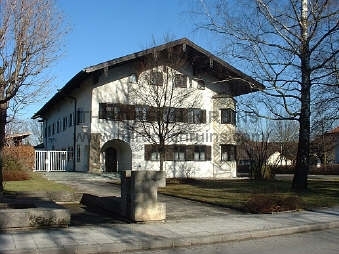 This building was used as a headquarters building for the Luftwaffe in the Berchtesgaden area. 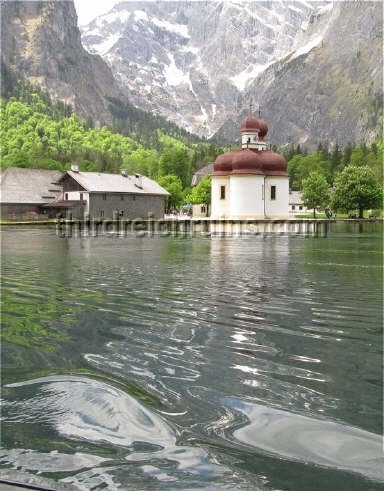 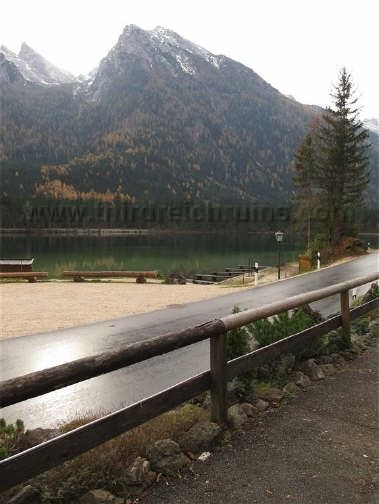 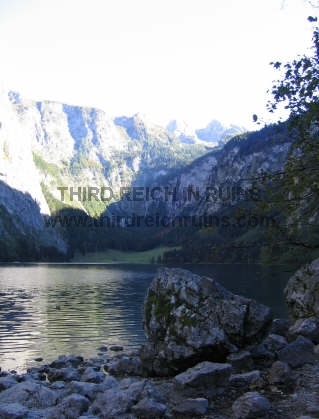 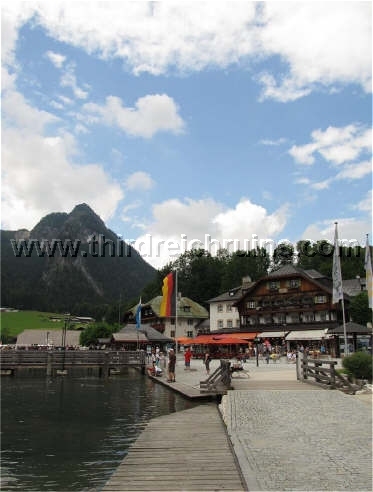 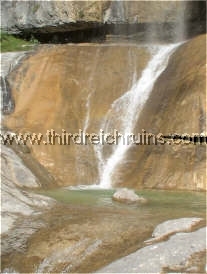 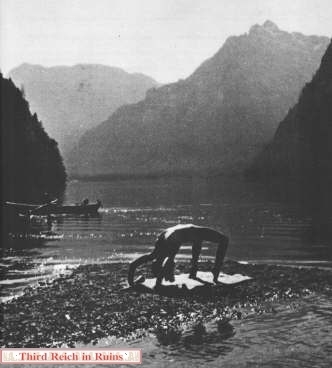 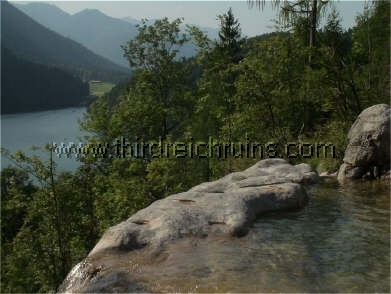 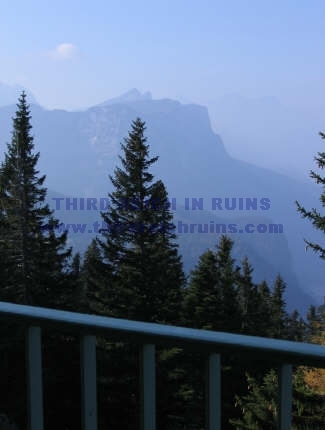 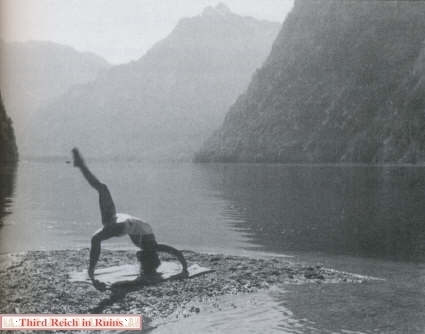 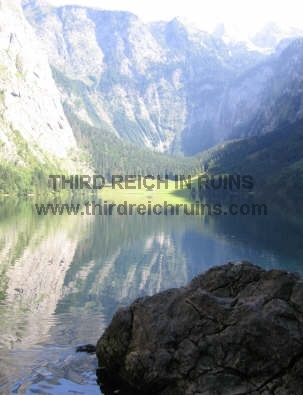 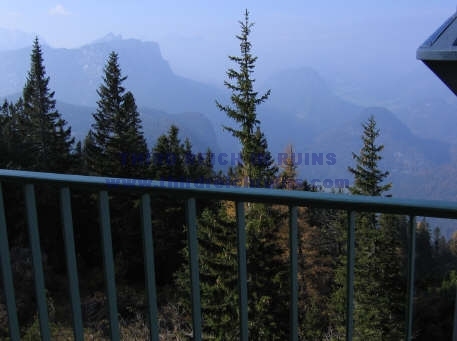 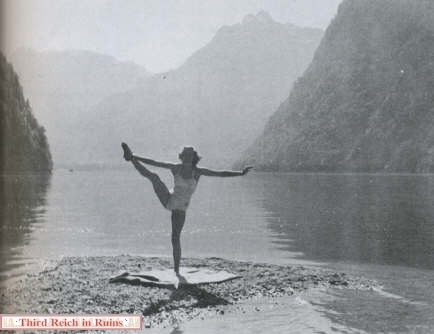 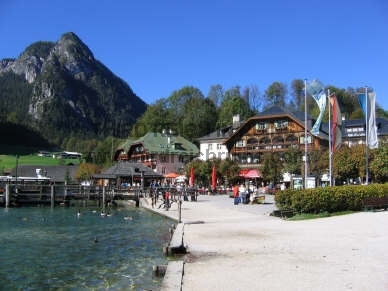 It was located in the southern part of the town, off the road leading to the Königssee. 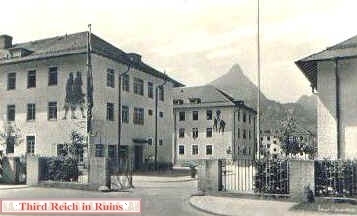 A tunnel system was built into the hill beneath the building, where much of Hermann Göring's art collection was discovered by American troops in May 1945. 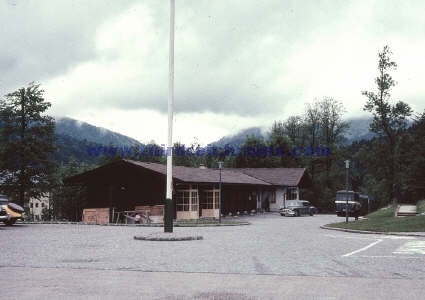 Under the U.S. Army AFRC recreation area, this building was used as a religious retreat house called the Alpine Inn. 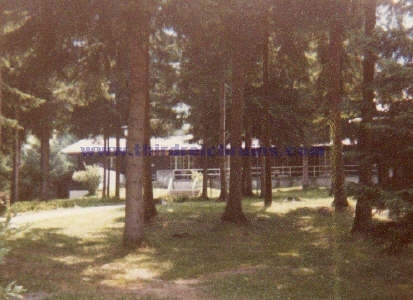 It was torn down in 1996 and housing was built on the site. 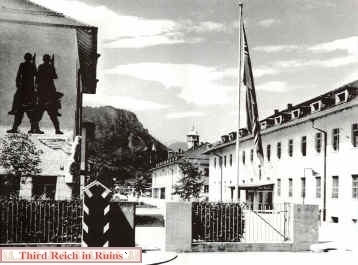 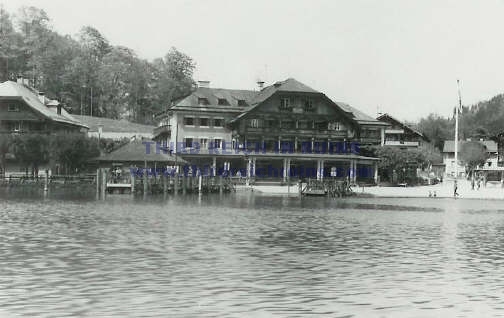 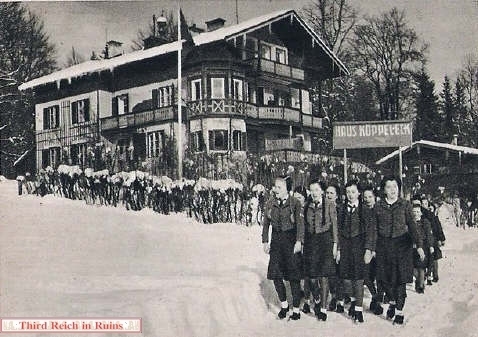 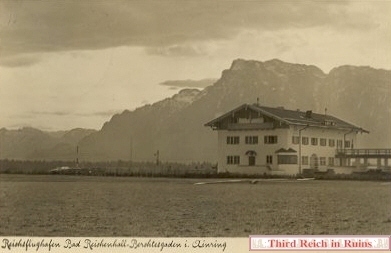 Another period postcard view of the Nazi flag flying in front of the Hotel Schiffmeister. 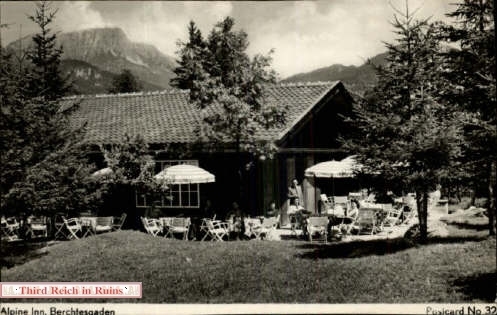 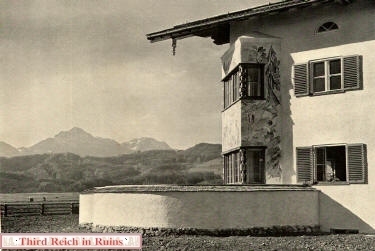 Reichsmarschall Hermann Göring, an avid hunter and outdoorsman, had a special hunting lodge built in the Roth area in the mountains surrounding the Obersee. 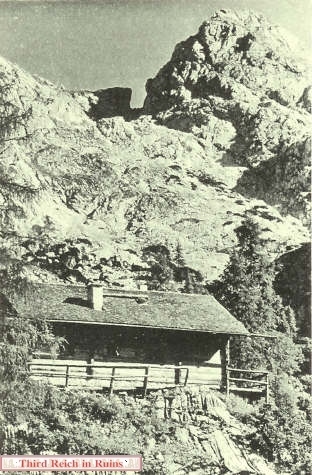 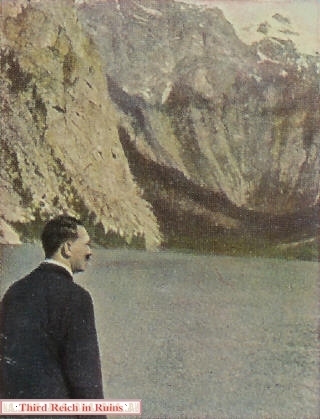 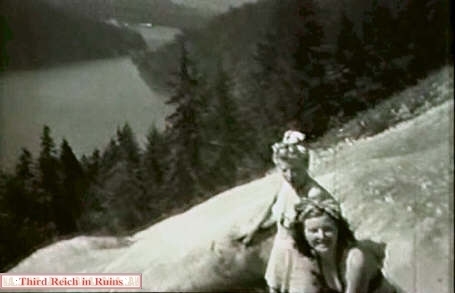 The lodge was torn down after the war and the site is difficult to visit today, reachable only by way of a long hike and climb into the mountains. 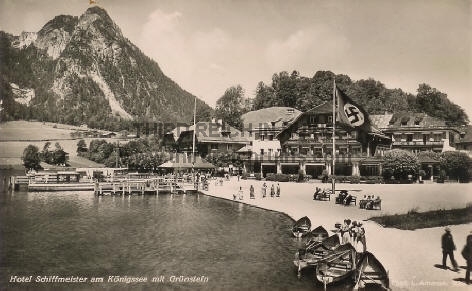 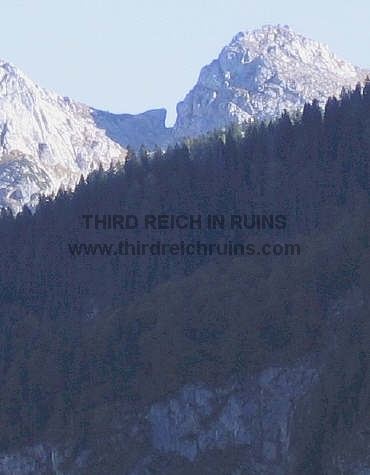 However, the approximate site can be seen from the Königssee boat landing at Salet - the landing for the Obersee path - the site was below the distinctive notch in the mountains that can be seen in the distance (the actual site is not visible from here - it was on the other side of the wooded ridge seen in the modern photo). 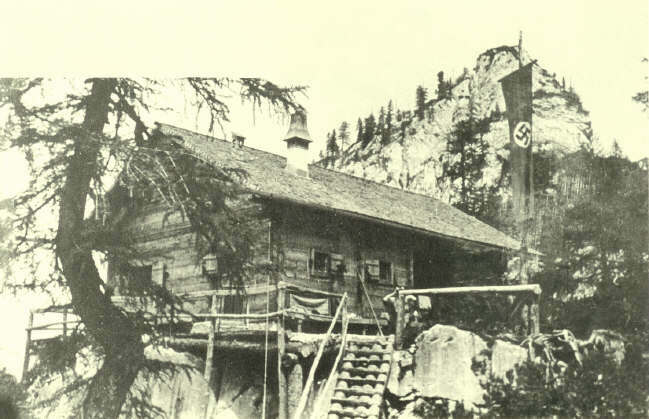 The Hotel Post on the Hintersee was used in earlier times to house various dignitaries visiting the Nazi hierarchy on the Obersalzberg. 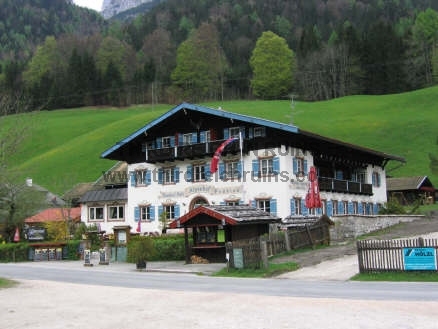 This hotel and Bartels Alpenhof are located directly on the Hintersee lake, with outstanding views of the surrounding mountains (the former Hotel Post is now the Gästehaus Hintersee). 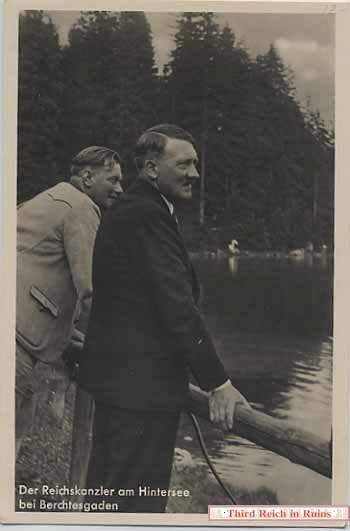 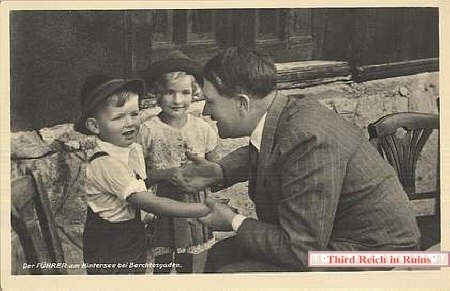 In the postcard view on the right, Hitler greets local children at the Hotel Post. 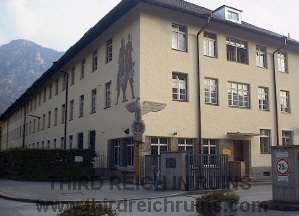 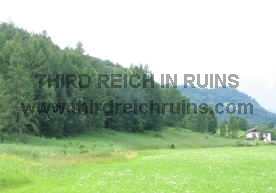 Continue to the Obersalzberg sites - Hitler's Berghof, Bormann's and Göring's houses, Platterhof, Gästehaus and Kampfhäusl, Hotel Zum Türken, Gutshof and Teehaus, Kehlsteinhaus, SS barracks, bunker system, miscellaneous Obersalzberg buildings.